We understand how frustrating it is to find a job and want you to know that every month we have thousands of people just like you visiting our website looking for work with a felony on their record. The great news is that you've finally stumbled on the resource you need to get employed again. Our entire website is dedicated to helping you find employment and our job search has thousands of new jobs and employers added daily. One of the unique offerings that we have here at Jobs For Felons Hub is our own job board. The beauty of this job board is that companies come to our website to post here directly and they're already aware that you have a felony and don't mind so long as you're a good employee. If you're an employer, please post your job opening here. Disclaimer: We take no responsibility for the employers listed on this job board and have no relationship with them. We are simply acting as an intermediary and it's up to you and the employer to discuss payment and terms of employment. If you apply and find something suspicious, please contact us at [email protected] so we can investigate. The list of companies that hire felons we have created has been developed after hundreds of hours scouring the internet to create the most accurate and comprehensive list available. Q: Should I Disclose my Felony(ies) on an Application? A: This is purely a judgement call, but we advise you to disclose your record to your potential employers during the application process. The reason is because if you don't disclose a felony and get hired, they can revoke your employment at any time for lying on your application. This means that if they randomly run a background check on you six months from now, you can lose your job. Or, even worse, you'll be up for a promotion and the company may run a background check before the promotion is official. If that background check comes back with something your employer doesn't like, they'll be able to terminate you. Q: What Types of Jobs Should I Avoid Applying to? A: Typically you'll want to avoid job types that require licenses by the state or on a federal level. This is because in most (not all) cases, you won't be able to get approval for your license to pursue employment. Because of this, the applications you submit aren't worth your time because the governing body of your state won't let you work anyway. Q: Will it be Difficult to Get a Job? A: Yes, it's going to be difficult to get a job and there will be plenty of times when you'll want to quit. But notice we stated it will be difficult to get a job, not impossible. After years of being the leader in this niche, we've found that the best way to succeed is to be consistent and stay positive about your job search. Don't let one frustrating situation (having a job offer rescinded, being told no because of your felony, etc.) impact your mentality. Q: Should I Apply to Large of Small Companies? A: While we do have a list of large companies that hire felons, it's truly on a case-by-case basis and there are many variables at play. Our advice is to spend most of your time applying to medium and small businesses. This is because these businesses are more likely to skip the background check due to cost and typically don't have a HR department with policies in place. Q: Can I Get a Job With a Sexual or Violent Felony Offense? A: Yes, you can! But, it's likely that your job search is going to be more difficult than other types of felony charges. This is due to the nature of the felony and most employers will look at you as a potential threat to their employees. If this case describes you, anticipate having to fill out more applications and try to find jobs that don't require you to work in an office environment or with the public. Q: Can a Felon Drive For Uber? Q: Can a Felon Work For the Government? Q: How do I know What Will Show up on my Background Check? A: A background check is typically the biggest hurdle you'll experience while going through your job search. We know of many instances where individuals get job offers, but then the background check comes back and the offer is rescinded. The best way to understand your background check is to order one on yourself. This way, you'll understand exactly what employers see. You can do that by clicking here and filling out your information. While this resource isn't free, it's the most affordable way of reviewing what shows up on your background check. Q: Will a Felony Show After 7 Years on a Background Check? Q: Will a Felony Show After 10 Years on a Background Check? Q: Do Internships Run Background Checks? Q: Do Employers Run Background Checks before Interviews? Oftentimes those who have been released don't realize that Temp Agencies can be an amazing place to find new employment opportunities. In fact, it's not uncommon for a former felon to be able to be hired from a temp agency and work at a company that they otherwise would never get a job at. Wondering why this is? Well, when a company uses a temp agency they typically rely on the agency to do all of the background check information. So, the company itself never actually does a background check and sometimes the temp agency doesn't either. The result? You're able to work at a company through the temp agency without a problem. Have you ever thought about the fact that you don't need to have an employer to make your own money? Sure, when you have an employer it's nice because they provide you with a consistent paycheck and job security, but how many extremely successful people can you name who have gotten that way by working for other people? The answer is not many and maybe this means it's time for you to consider becoming your own boss, or at least become a consultant. The beauty about this lifestyle is that your felony is no longer an issue because YOU are the boss and YOU determine your own work hours, hourly pay rate, and more. Below is a list of resources to help. Upwork.com: This is the largest freelancer website in the entire world. Odds are that you have some type of skill that would be valuable to someone else and people are more than willing to pay those that are hard working. If you have technical skills that's ideal, but this website also works for people who are writers, sales and marketing (work at home, over the phone), administration, and so much more. Heck, people even hire voice overs for their videos on this website. Udemy.com: This website, or should I say marketplace, is absolutely awesome for people trying to learn or teach new skills. Simply put, this is a HUGE marketplace with over 50,000 courses. Some courses are free and others cost money, but the neat thing is you can actually create your own course for free and charge others to take it. Craigslist: Odds are that you know of Craigslist, but if not, it is a great place to find jobs quickly that typically don't require background checks if you look in the right areas. If you look in the "Jobs" section and search under "General Labor" or "Customer Service", you'll often find jobs that won't put too much emphasis on your record. Remember, most companies that post here need something pretty quickly and are usually local small businesses looking for talent. The big companies tend to use places like Careerbuilder.com and Monster.com, so this is a great place to start a job search. For some felons, it isn't necessarily their record that is prohibiting them from getting a job. Instead, it is their lack of knowledge and training that employers notice which disqualifies them from becoming employed again. This is a very common issue, so we have compiled a list of different resources that you can use to get the skills you need to find a new job, or even try to make your own business. Some of the job training resources below are free while others cost money, but we are confident in the platforms we are recommending and hope that you find them helpful. Please note that some of the resources below are affiliates of our website. This means that you are supporting our website by using these links because if you choose to use these resources, at no additional cost to you, we will be given a small commission. Note that we never list resources here unless we are sure that they will help you and encourage you to only use them if you think they will help you too. Our FREE Guide: Getting employed with a felony isn't a simple task and we've created this guide to help. Whether you are looking to work for others or want to become self employed, this guide will explain your options and provide you with tips along the way. 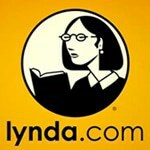 Lynda.com: Lynda was recently purchased by LinkedIn.com and, in our opinion, has the highest quality courses out there. The platform has over 3,500 courses available that focus on topics which will give you highly sought after job skills from employers. The best part? You can access everything for free with a 10-day trial. 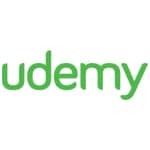 Udemy Course Marketplace: Udemy currently has over 7 million students and over 30,000 courses. This platform allows industry specialists to create their own courses and give them away for free, or sell them. The platform often has sales where courses cost $10-$15 each, but make sure you sign-up as a member and give a valid email address so that you are notified when these sales happen. Getting employed with a felony isn't a simple task and we've created a FREE guide to help. Whether you are looking to work for others or want to become self employed, this guide will explain your options and provide you with tips along the way.